Since 1965, the Rampart Group has been a steadily growing insurance brokerage firm providing a long list of insurance products and services to both commercial and consumer clients. Initially covering just New York and New Jersey, the company has steadily expanded in the last 46 years and now has clients throughout the United States. They offer standard consumer products such as homeowners, renters, and auto insurance, as well as a long list of commercial and institutional products. All you need to get started in your search for competitive health insurance rates is a few minutes to shop, after you enter your zip code in our search tool below. Just to be clear, Rampart does not write policies themselves. They are brokerage representing well-known companies like The Hartford, AIG, OneBeacon, MetLife, and so forth. The company earns its revenue by receiving commissions from the companies they represent. This business model allows them to represent multiple companies for every line of insurance they offer, thereby providing clients with the most options. Rampart Group offers health insurance products at two levels. The first is an institutional option that provides policies to hospitals, nursing homes, assisted living facilities, and so on. These policies protect the institution against certain types of lawsuits including general liability, worker injury, professional liability, and property damage. These types of policies are intended to protect the institution itself rather than any one individual. At the consumer level, Rampart Group provides disability, workers compensation, and personal umbrella policies. While these types of insurances are not direct healthcare insurance per se, they are able to make up for any gaps in coverage left by your primary health insurance provider. For example, standard health insurance will have annual limits under some of the categories of coverage. Once those limits are reached, a personal umbrella policy would kick in to cover the rest. The same goes for a disability policy, which protects you if you’re out of work due to medical problems. In researching the official address for Rampart, we encountered some discrepancies. We have found two registered addresses; one is in the New York City and the other on Long Island. It would be fair to assume that they are one in the same except that the streets and zip codes are different. The first addressed we list is the one that appears on the company website. It is possible that the second address is a former office or perhaps a satellite office elsewhere in New York. It is also possible that the second address belongs to an entirely different entity separate from the Rampart Group. Because Rampart is not an insurance carrier themselves, any assistance they can render in terms of claims service will be limited. However, that should not stop you from utilizing them in this capacity if necessary. Most insurance providers prefer you contact them directly when possible but also allow for contact your broker in some circumstances. This is entirely possible with the Rampart Group. For consumer claims on an auto, homeowners, or disability policy, your Rampart agent should be able to get the ball rolling on a claim. He or she will also be able to instruct you as to the types of information or paperwork you may need to compile, who you should contact at your insurance carrier’s headquarters, and any other important information you need to know. 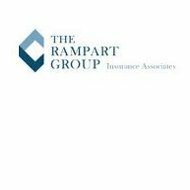 Because Rampart Group is a brokerage rather than an insurance carrier, they are not required to file public financial disclosures. We were able to see some of financial listings on a couple of business review websites but we were unable to verify whether the information was legitimate. Because of the size of the numbers given, we suspect this information may be erroneous. We will not list it here for that reason. If you visit the Rampart Group website, you may notice it contains a link to careers. Unfortunately, clicking on this link redirects you to a page that indicates the careers page cannot be found. Since the rest of the website is fully functional, we assume that the company simply has not created this page yet. If you’re interested in applying for a position with Rampart your best bet is probably to call them on the telephone and ask for the human resources to department. There’s no need to look elsewhere for online health insurance rates, simply enter your zip code into our free search tool and we’ll get you started right now.